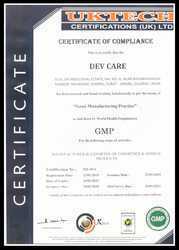 Established in the year 2009, we, “Dev Care”, are engaged in manufacturing, supplying, trading and exporting highly effective Cosmetics & Herbal Products. Our range of products encompasses Hand Wash, Hair Shampoo & Face Wash. All our products are processed using excellent quality herbal ingredients in accordance with international quality standards. 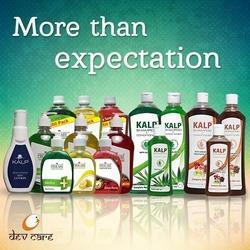 Marketed under the brand names Kalp, Procare and Rivva, our product-line is highly applauded for its soothing fragrances, zero side-effects, skin friendliness, purity, accurate composition and excellent results. We do job work of contract manufacturing (private label) of all the products which we mentioned in our product portfolio. To meet the varied requirements of clients, we offer our range for various types of skin and hairs including dry, oily and moisture. 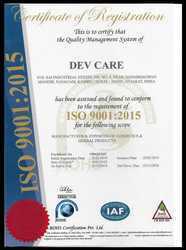 Also, we make sure that these are packaged in premium quality material, so that their optimum quality is retained. We have developed a multifaceted infrastructure unit at our premises that helps in the streamlined execution of the activities of our trade. This facility is equipped with requisite machines and equipment that are required for processing our product-line. Besides, we work with an objective to make our organization the prime choice of clients. 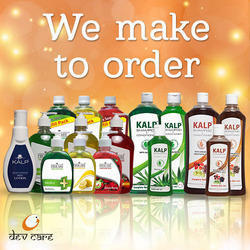 We not only aim towards increasing our total sales but also create awareness among consumers about our products. Furthermore, to ease the tedious process of monetary transactions, we accept payments via various convenient options. Also, we make sure that the consignments are timely delivered at clients' destination with the help of our wide distribution network. To consistently offer inventive, innovative and quality-driven products to our customers and create a long term relationship with them. To value employees and encourage them to take new initiatives. To always strive to give our best in every scenario.